Our Georgia Court Reporters are highly experienced with expertise in a variety of case sizes. Discovery Litigation Services was created by a court reporter who puts your needs center stage. Discovery litigation Solutions knows the importance of providing reliable and swift solutions to handle the requirements of your deposition. Discovery Litigation Services makes it easy to get the right Georgia court reporter for your deposition. Don't settle for those nearest. Discovery’s video enabled streaming services ensures you’ll receive a Georgia court reporter in any city across the state. Let us get you the most qualified court reporter in Georgia for your deposition. Court reporting is just one tool you will have at your disposal with Discovery Litigation Services. We are happy to provide experts in videography, interpretation, and translation. Additionally, Discovery will handle all of the staffing of your document review attorneys and provide options for alternative dispute resolutions. Our host of comprehensive services will satisfy all of your demands. Discovery Litigation Services provides the resources and all-inclusive services to provide you with a highly qualified court reporter and litigation solutions anywhere in Georgia. With headquarters in Atlanta, we are physically here in Georgia to answer any questions you may have. Our highly qualified court reporters in Georgia have all of your stenographic solutions covered wherever your deposition will be. Choose from as many or as few solutions from a host of litigation services that best fit your needs. Schedule a deposition today with a few clicks, or give us a call and we will be happy to answer all of the questions you have. 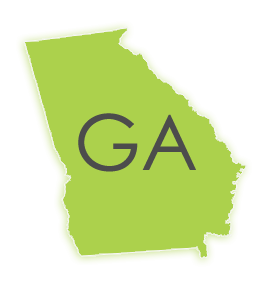 We can cover your deposition in every city in the state of Georgia. You can book a certified shorthand reporter in a matter of minutes, through Discovery Litigation Services’ online scheduling platform. Our priority is to provide far-reaching litigation services in your hands. We streamline the process so you can focus on your case. True online real-time reporting enabling monitoring of depositions scheduled, costs and complete transparency via the web and mobile applications at all times to all interactions with Discovery. Complete transparency on all invoicing ensures you don’t pay for products you don’t want or need. Close coordination with your law firms to ensure they receive the service they need to manage your cases. With Discovery Litigation Services you’ll have a highly experienced team in case management versed in managing high volume deposition cases across the country. Discovery Litigation Services fulfills its clients’ eDiscovery, document review, and staffing needs by providing highly qualified, experienced attorneys, paralegals and legal support staff. Our contract professionals are trained and skilled in a variety of eDiscovery Software platforms and understand fully the discovery process. Discovery Litigation Services offers solutions for Court Reporting in Every Part Of Atlanta- Videography - Dispute Resolution - Mediation - Arbitration - Interpretation - And More. Schedule Your Deposition in Any State Throughout The U.S.